Looking to try the top breweries around? Hoodline crunched the numbers to find the best spots to discover new brews in Detroit, using both Yelp data and our own secret sauce to produce a ranked list of the city’s burgeoning beer destinations. Topping the list is Batch Brewing Company, a microbrewery featuring a taproom and pub fare at 1400 Porter St. in Corktown. The popular spot for beer tastings is the highest rated brewery in Detroit, boasting 4.5 stars out of 303 reviews on Yelp. Co-owners Stephen Roginson and Jason Williams opened the brewery in 2015 after leaving corporate careers, the business explains on its website. Ten beers are on tap, including a German pilsner, cocktail-inspired sour ale and a double-milkshake IPA (India pale ale) brewed with mango, passion fruit and milk sugar. Dining in? Try the gator gumbo with crawfish and andouille sausage, pork belly on a Mexican baguette or the fried pork skin in Thai chili sauce. 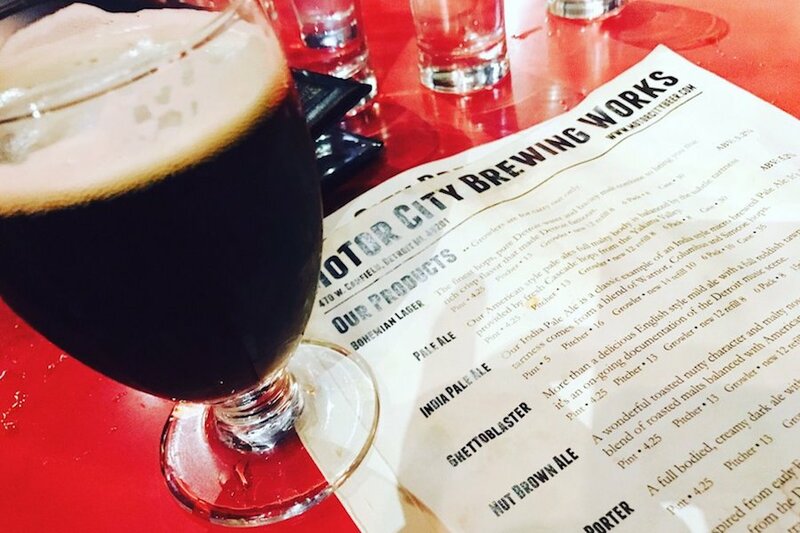 Next up is Midtown’s Motor City Brewing Works, which offers brick-oven pizzas and light bites at 470 W. Canfield St. With four stars out of 420 reviews on Yelp, the city’s oldest operating brewery is still attracting fans. Open since 1994, the facility has grown into a 20-barrel custom-fabricated brewery “made from salvaged equipment and scrap from Detroit’s great industrial era,” per its website. 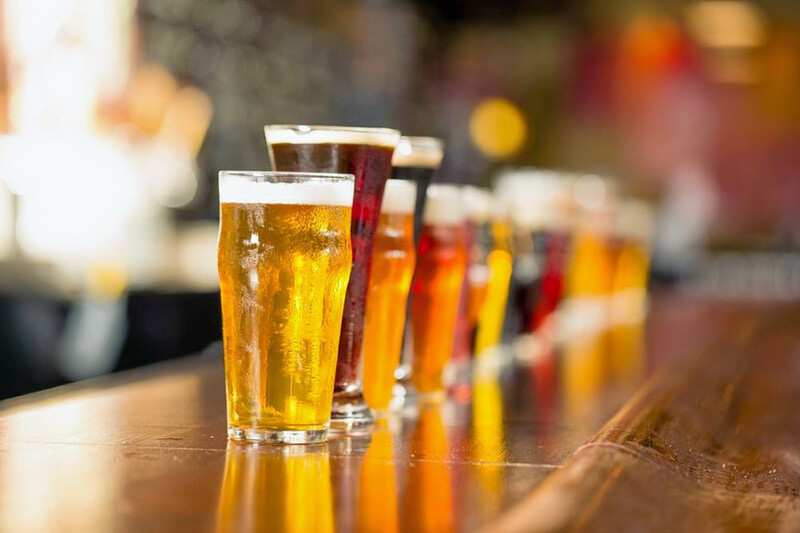 Available beers include a Bohemian lager, the Ghettoblaster (English-style mild ale with a full reddish color), an Irish-style dry stout and a strawberry-rhubarb Belgian tripel, among others. Tours are offered but require advance notice. 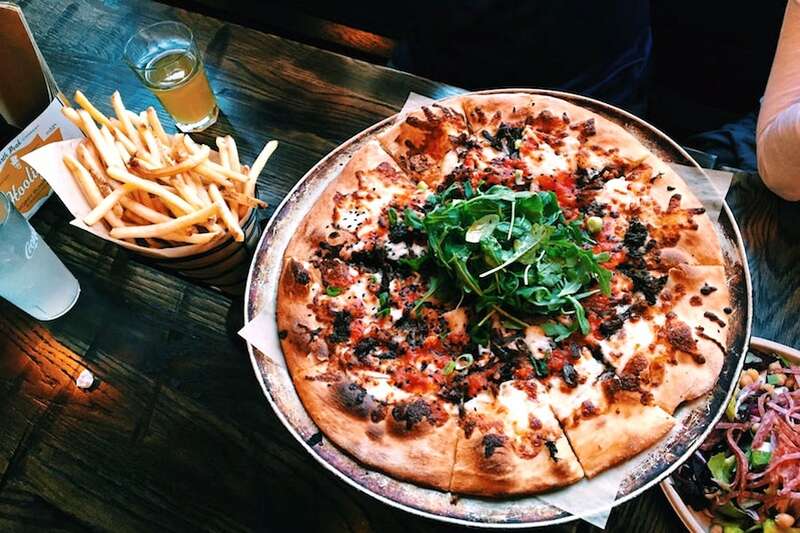 Midtown’s Jolly Pumpkin Pizzeria and Brewery, located at 441 W. Canfield, Suite 9, is another top choice, with Yelpers giving the brewery chain four stars out of 359 reviews. Known for its barrel-aged sour ales, the Jolly Pumpkin has five other Michigan outposts and one in Chicago. Making an appearance on “Burgers, Brew & ’Que,” celebrity chef Michael Symon proclaimed that the brewery makes “the best beer in the world,” per the Food Network. On the menu, look for appetizers, sandwiches, salads and pizzas like the South Pacific (bacon, candied pineapple, jalapeño and mozzarella) or the prosciutto leek. 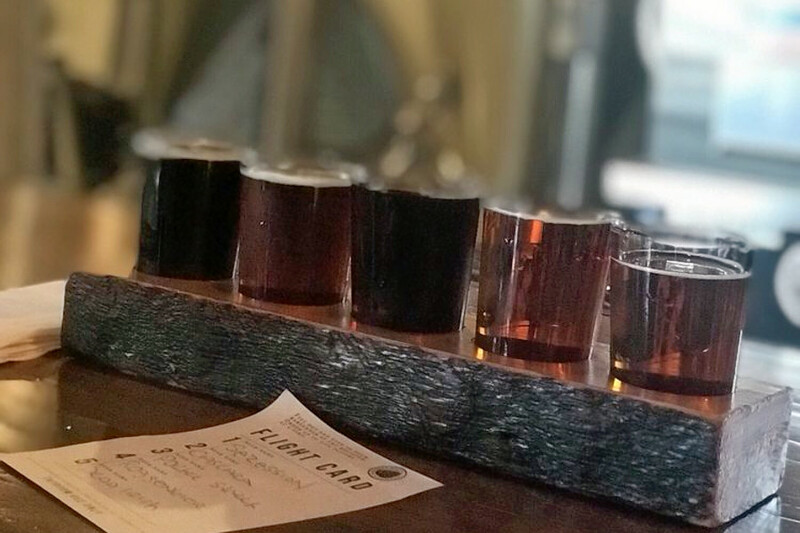 Fourteen artisan ales are on tap as well as offerings from the North Peak Brewing Co.
Over in the Cass Corridor, check out Founders Brewing, which has earned four stars out of 71 reviews on Yelp. You can find the brewery at 456 Charlotte St. The Detroit taproom, with another in Grand Rapids, features deli fare and Motown-only exclusives that are brewed on-site. Look for the flagship single IPA brewed with Centennial hops, an imperial stout brewed with chocolate and coffee and a Scotch-style ale aged in bourbon barrels. Hungry? Offerings include beer cheese dip, bratwurst, cheesesteak on a telera roll and a wedge salad.